Choose either our Sunlighten Full Spectrum Infrared Sauna or the Formostar Infrared Body Wrap and let the stress of everyday life melt away while we train your body to perform better. Introducing Styku, a revolutionary 3D body scanner. Styku creates an exact 3D model then extracts hundreds of precise body measurements in seconds. Indulge in a M'lis contouring wrap or one of our custom airbrush services from Infinity Sun to enhance your natural beauty. Naturally reactivate cells' metabolism with Endermologie. Robert is so incredibly professional for starters! I wouldn't change a thing about any of my interactions with him! His office is always clean and he will always try to work me in for an appointment! Also, there is free parking at his office! Most importantly, my body looks SO much better after my appointments with him!!! I've gone through 10 endermologie sessions and 6 or so of the heated body wraps, which are by the way, a slice of heaven. Granted these treatments aren't inexpensive..... But they are worth every penny in my opinion. When you can see changes in your body and feel better about yourself it just makes the world have a bit of a rosier glow. If you can afford it..... Just go!!!! I am the definition of skeptical when it comes to things like this but this place is the real deal. I started seeing Robert 4 years ago and absolutely love the infrared sauna. I always feel I've completely detoxed my body and lost any excess bloating. The infrared has so many benefits from weight loss, boosting your metabolism, to making your skin glow. Robert is incredibly knowledgeable and a total professional. Telling him your goals ahead of time will significantly increase your timeline and efficiency. You will not be disappointed and I guarantee you walk out feeling like a million bucks (and a few inches smaller). I love this place so much that I am compelled to write a second review. When I first started back in April, I was unsure of what direction to take. I knew I wanted to be healthy and feel better but outside of that, I just wasn't sure. Robert is a rare find as he takes the time to find out your goals and then provide recommendation on how to best achieve the goals. I am a firm believer of the M'Lis products. I have done the body wrap and it's amazing at just how quickly you can see the difference. The M'Lis wrap is very different from the Infrared body wrap which I have to say is my favorite. Basically the Formostar Infrared body wraps train your body to do what it is supposed to. It's probably my favorite service at Atlas Bodyworks. The saunas are fantastic. Endermologie is life changing. I wouldn't believe it if I didn't go through it myself. 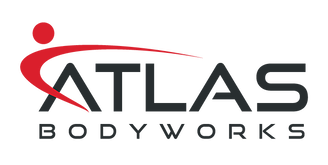 I am a lifetime customer to Atlas Bodyworks. For me, nothing compares with the service and the services provided. Thanks Robert and Atlas Bodyworks.